Cybils 2010 call for judges is here. You have until Sept 15 to apply. I've been a 1st round judge the last two years, and Ashley was a 2nd round judge last year -- so if you have any questions, we're happy to share our secrets (such as they are). What titles am I missing? What sequels are you excited about? You never know what you're going to get from the review grab-bag! 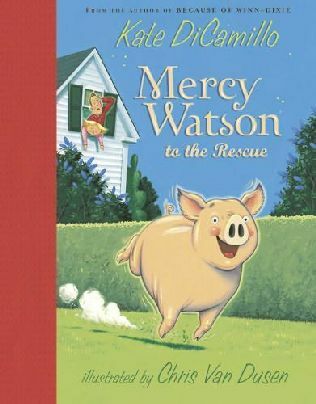 Mercy Watson to the Rescue by Kate di Camillo --Adorable! An early reader/chapter book about a beloved pig who lives in the house. When the old couple she lives with gets in trouble they send her for help. Totally clueless, she manages to save the day and take the credit. :D Fun illustrations, fun story, fun fun fun! 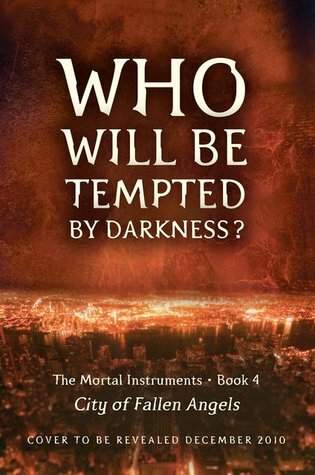 I definitely plan to read on in the series. 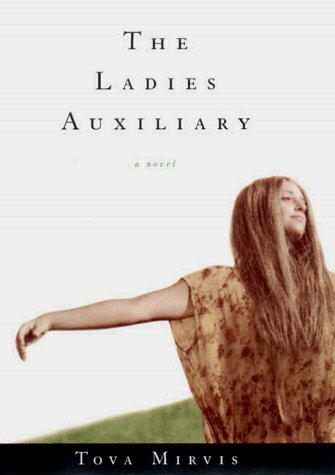 The Ladies' Auxiliary by Tova Mirvis -- I read this one for book club. It's one I never would've picked up myself, but I ended up enjoying it quite a bit. 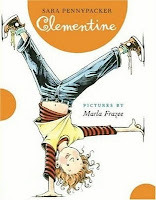 It reminded me a lot of Stargirl by Jerry Spinelli, in theme anyway. (No one at book club had read Stargirl, sigh.) Of course the whole look into the world of orthodox Judaism was fascinating. Mirvis did a good job giving the right amount of detail for me -- I wonder how other orthodox Jews feel about the book of course. I think it does a nice job of saying what we all (should) know: that there is good and bad in any community. Kind of inspiring. Jeeves and the Mating Season by P.G. 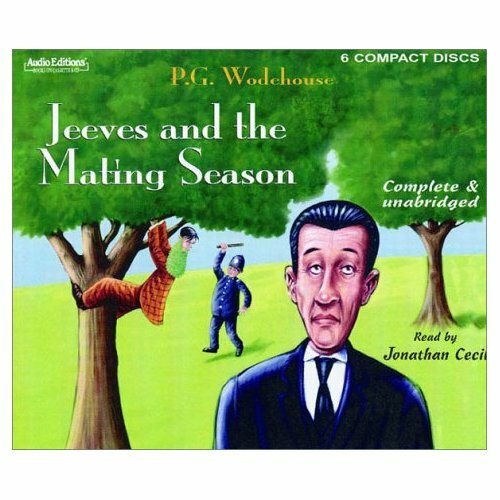 Wodehouse -- another brilliant audiobook. I've listened to so many of them, that all the Jeeves stories are getting blurry. This is another with Gussy and Madeline, and was my introduction to Corky and Catsmeat (at least, it sounded like that was his nickname, and I don't put it past Wodehouse). Highlight: the Village Concert - including a corny joke about the Russian Ballet and reference to what is an actual poem by Thomas Hood entitled Faithless Nelly Gray. I was pleasantly surprised by this book. I don't know what I expected, but this was given to me by a publisher, from whom I understood mostly that it was a "horse book." 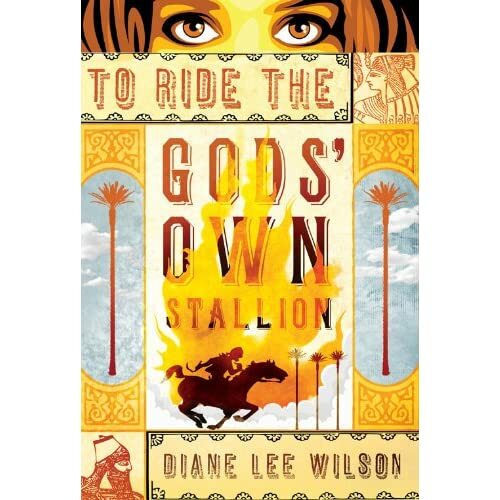 The Black Stallion and National Velvet are what come immediately to mind when I think of "horse books." Those, and the juvenile kinds of series whose covers feature cutsie girls posing with their shiny-coated steeds with names like "Lucky" and "Penny." This book is nothing like either. It's not about racing, and there are almost no adolescent girls (the main character does have an older sister, but she only makes a couple appearances). Soulai is a young boy living in ancient Assyria. He is a skilled artist but a poor goatherd. When a lion attacks his flock while he's on duty, his father declares "Better that you'd never been born." Soon after, tragedy strikes his family home, and his father sells him into five years of slavery to pay off their debts. While working in the royal stables, Soulai meets a horse unlike any other---a stallion named Ti. But the stallion is owned by the spoiled prince Habasle who breaks the animal's spirit by forcing Ti to carry him against a lion. Soulai stays by the animal's side, however, and together the prince, Soulai, and Ti help one another to fulfill their destinies. Pretty fun action book, quick read, might be especially appealing to boys, considering the general absence of female characters. Alton's wealthy great-uncle has gone blind, but he can't give up bridge. Alton becomes his cardturner with one major rule -- never ask "Are you sure?" Alton knows nothing about bridge, and that's the way his uncle likes it. But spending 12 hours a week as a proxy player changes that, and piques Alton's curiousity about his uncle's mysterious past. It's Louis Sachar! Of course its good! You know, Holes? Wayside School? Small Steps? I found myself laughing while reading this book. Partly because there were some funny lines and scenarios, but also because the dialogue was so realistic. I'd say "Hah! I can see those exact words going back and forth between my mom and my teenage brother!" So very well done on that score, and on character development too. Leslie, the little sister, was my favorite. She doesn't show up a ton, but she's great. Since I'm a little sister, I can say that I guess. After Sleeping Beauty is cursed at her christening, her parents are taking no chances with her little sister. They consult a fairy with a good reputation before Annabelle is very old at all and she is given a strange gift: magic cannot touch her, for good or for bad. Of course, this has interesting consequences when Gwen's curse comes true, putting everyone (except Annie) in a deep sleep for 100 years. Annie sets off to find Gwen's true love and happens to find her own as well. This was a very fun book -- just what I needed when I picked it up. It has an easy humor and likeable lead characters. Some of the other characters were a bit two-dimensional, but the book was very much plot-driven, so that doesn't stand in the way of a good time. In general I prefer character-driven fiction, so in the midst of all the action I occasionally wondered "but what does she think of that?" 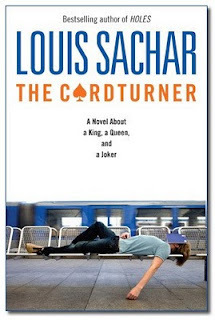 Still, a fast paced and fun read. There's a scene near the beginning that I think is my favorite: Annie's first encounter with a witch in the woods, who ends up chucking Annie's lunch into a bush. Cracked me up. 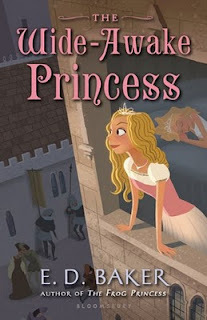 Recommended to fans of fairy tale retellings -- the book touches on more than just the sleeping beauty story. Okay, let's make this quick. Like Bandaid removal time. I thought this book was A) Confusing, and B) a Travesty. Let's start with A. A) All of the gentlemen in Highbury, except for Emma's father, are vampires. And all of the women, except the ones married to them, are oblivious, even though none of the men ever eat, they all have "cold, pale skin" (a phrase that was oft repeated in the book), they never age, they move super fast, they are strong enough to throw cows over fences, they avoid sunlight, they have black-out curtains in their windows, and a few of their eyes change from black to blood red over the course of the book. The gentlemen's agelessness was particularly confusing. How is it that Mr. Weston is stuck at 50-something forever, Knightley is stuck at 37, and Frank is stuck at 23?? And it's not because that's when they themselves were changed from humans to vampires, because Knightley (presumably) and Frank (definitely) were both born vampires! So Frank aged along until 23 and then stopped, and Knightley aged along until 37 and stopped. *deep breath* Anyway. Plot holes. B) By inserting all these inconsistencies and weirdnesses, the author has shown that he thinks very little of Emma's mental faculties. He's made her completely stupid, in short. I was particularly blown away by her dumbness (in not noticing that her dear friend and lifelong neighbor, Mr. Knightley, is a vampire) at the scene where Knightley declares something like, "I was thirty-seven years old when you were born." To which Emma replies, "And you are still, haha!" Hello! Doesn't that seem a tad, I don't know, impossible to you, Emma?! Why, twenty-one years later, is Mr. Knightley still thirty-seven?? So the author made Emma stupid and Harriet really fat. So fat, she can't reach the wooden stake she's tied around her thigh when she's being attacked by vampires. So. 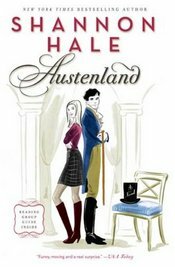 I can only conclude that the author's purpose in "writing" this book was to show his contempt for Emma in particular and Jane Austen in general. 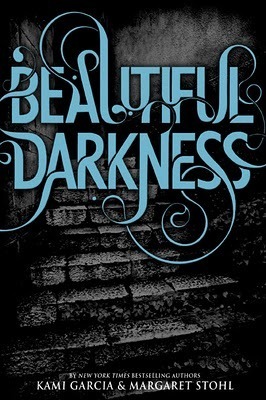 And since I love them both, I did not like this book. That's my take. At last! The long awaited review of the bookshelf. You all can let out your breaths now. June 28th -- bookshelf arrives, so that's pretty fast, considering there was a weekend in there. June 30th, 8:20 p.m. -- assembly begins. 8:47 assembly done -- only one "hold this for a second", no sounds of frustration or extra tools needed. A screwdriver was listed in the instructions, but we didn't actually use it, only the included Allen wrench. Nice. It's pretty cute, if I do say so myself. Moderately sturdy -- not pressboard or something, but the shelves are thin. It is a little bit smaller than I expected it to be (even though I measured out its dimensions before). But, all in all, I like it. Would I pay the price listed on the website for it? Hmm... not at this point in my life. July 1-August 10 Procrastinate posting about said bookshelf because 1. I'm pregnant 2. I'm teaching the toddler not to throw the books on the new shelf down the stairs and 3. I can't seem to find the picture above on my computer. Hadn't uploaded it yet. Go figure. Ta-da!